Even though the correct USB drivers have been installed, and the device displays correctly in the Windows Device Manager Window, the SL1000 Acquisition Software fails to detect the SL1000 main unit. Verify that the Group and Unit ID on the SL1000 main unit are set to "0." The Group and Unit ID are the blue rotary switches located on the rear of the SL1000 main unit. If the Agilent I/O Library Suite or software was previously or is currently installed on the PC, please disable the software or un-install it completely. Re-boot the PC and reconnect to the SL1000 using the SL1000 Acquisition Software. Download and re-install the latest USB drivers. For Windows Vista/7 64-bit OS, install the x64 drivers. For Windows Xp/Vista/7 32-bit OS, install the x32 drivers. 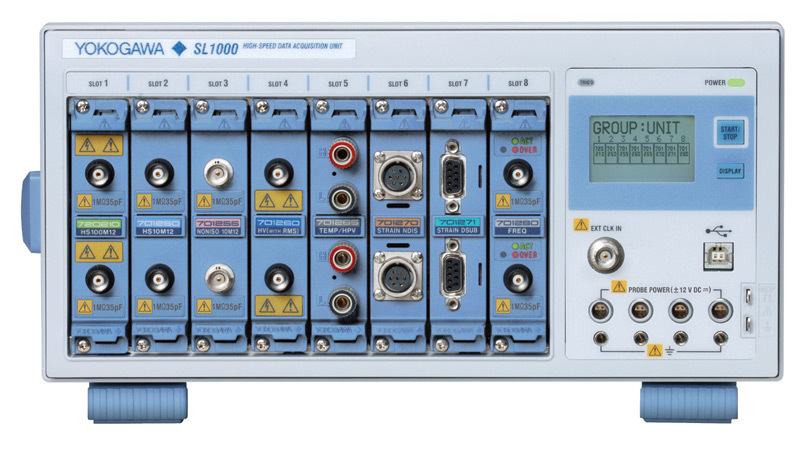 The SL1000 Group and Unit ID is not set to "0"
The Agilent I/O Libraries Suite was previously or is currently installed on the PC. Note: This issue may also apply to other instruments which use our Yokogawa acquisition or analysis software, such as the WE7000 or DL750/DL750P.